Our first post is dedicated to know more about the second largest country in Africa. Situated in the center of Africa & formerly known as Zaire between 1971 to 1997 D R Congo is the most populated officially Francophone country, the fourth most-populated nation in Africa and the seventeenth most populated country in the world. Over 200 ethnic groups populate the Democratic Republic of the Congo, of which the majority are Bantu peoples. Together, Mongo, Luba and Kongo peoples (Bantu) and Mangbetu-Azande peoples constitute around 45% of the population. The Kongo people are the largest ethnic group in the Democratic Republic of Congo. The Pygmies are the aboriginal people of the DR Congo. Along with the widespread use of French Congolese speak several national intermediary languages such as Kituba, Tshiluba, Swahili and Lingala. The capital is Kinshasa which is the biggest city as well followed by Lubumbashi. The country is divided into many provinces, which are subdivided into districts which are in turn divided into territories. Along the road linking the main cities, small villages with huts can be found. 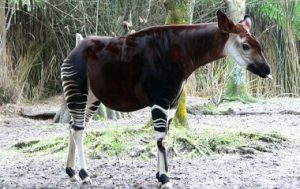 The Democratic republic of Congo has a wide variety of flora & fauna, including many such as the okapi and white rhino which are rare and endemic species. It is the most bio-diverse African country. It’s the only country in the world where the bonobos live in the wild. Five of the country’s national parks are listed as World Heritage Sites. The country is considered to be one of the richest country in natural resources. The Democratic Republic of Congo is the world’s largest producer of cobalt ore and a major producer of copper and diamonds. In fact it is the second largest diamond producing country in the world. Despite having been a war-torn country the Democratic Republic of Congo is slowly emerging in the tourism sector. Tourists get to see indigenous animals and the wildlife in parks. The landscape can be breath-taking, especially at the Zongo Waterfalls. Jeffery Travels organizes outings in several parts of Congo for tourists. The place of excursion is chosen by the customer within specific places. Congolese art, tribal masks, and other beautiful goods can be procured in several markets.